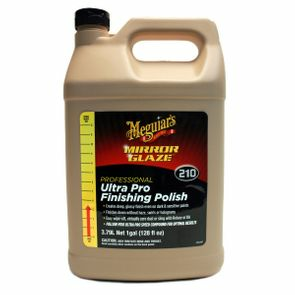 Meguiar's M21001 Ultra Pro Finishing Polish - 128 oz. 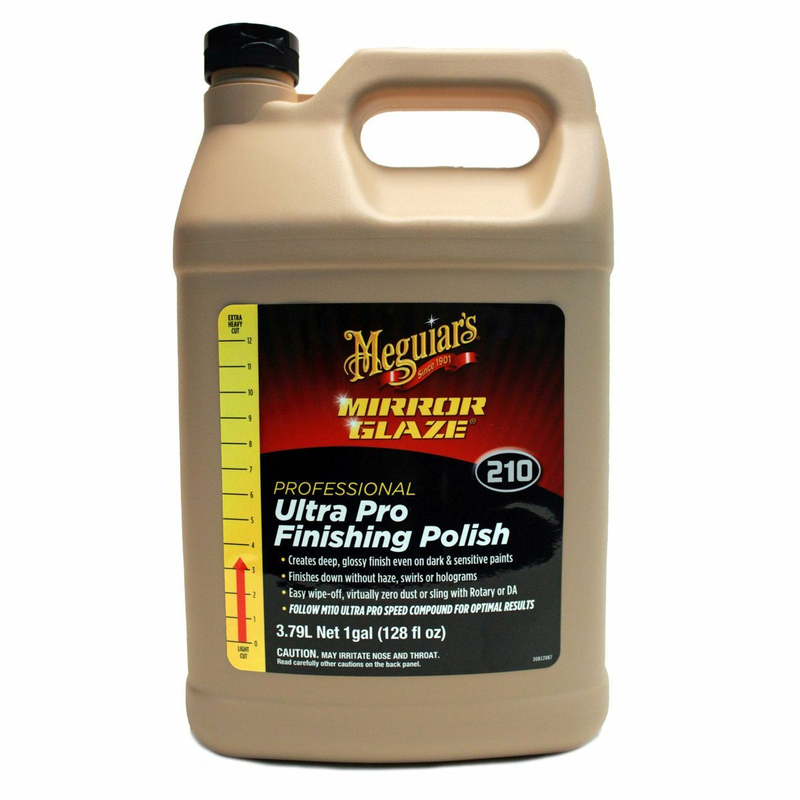 Home > Shop by Brand > Meguiars Car Care Products > Meguiars Mirror Glaze Car Care Products > Meguiar's M21001 Ultra Pro Finishing Polish - 128 oz. PRO POLISH: Our best finishing and highest gloss polish ever! Creates deep, glossy finish even on dark & sensitive paints! Meguiar's M210 Mirror Glaze Ultra Pro Finishing Polish is the next evolution in cleaner polishes that delivers amazing results, even on sensitive paints. Formulated with professional body shops and detailers in mind, this all-new formula quickly removes light paint defects like DA haze and Rotary swirls, finishing flawlessly without DA haze, swirls or holograms. Ultra Pro Finishing Polish rich polishing oils create a deep, glossy, brilliant finish, even when working with dark and sensitive paints. This exclusive formula is body shop safe and wipes off easily to reveal true results. M210 is also a versatile cleaner and polish that is safe and effective when working by hand, Dual Action Polisher or Rotary Buffer with virtually no dust or sling, and is available in 32 ounce and 1 gallon sizes. Ultra Pro Speed Polish is the perfect final step to obtain show car, swirl-free results after using Meguiar's M110 Mirror Glaze Ultra Pro Speed Compound to remove heavy defects.